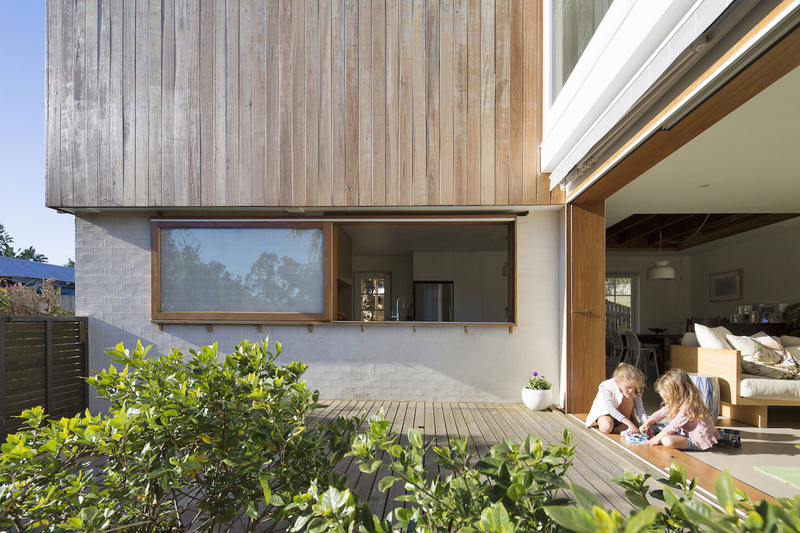 casa crisp has been a continuing transformation of a modest 1.5 bedroom brick veneer cottage into a light-filled, environmentally inclusive home for a young family of 6. the site is quite unique, a 180sqm of useable land and a battle-axe block surrounded by 8 neighbouring properties. 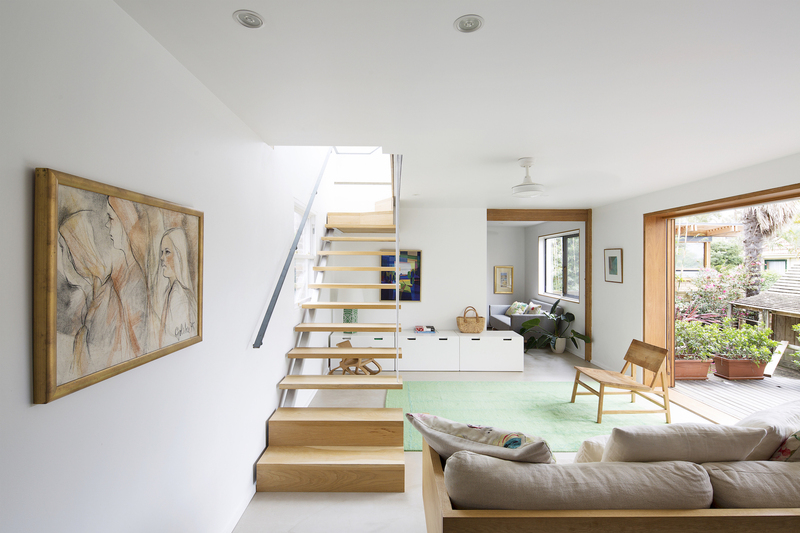 the locality allows surprising vistas of unobstructed natural features in multiple directions from the new first floor addition. 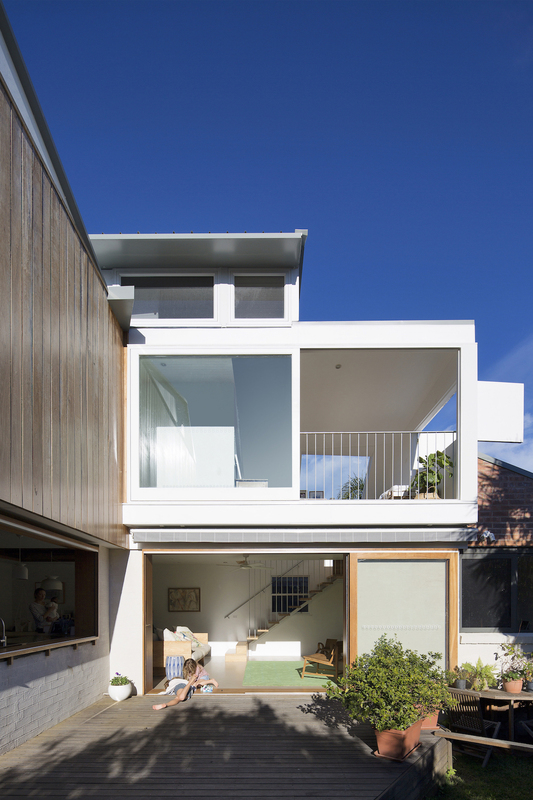 the form is a product of an opportunistic response to some heavy planning controls concerning setbacks and solar penetration into neighbouring yards. 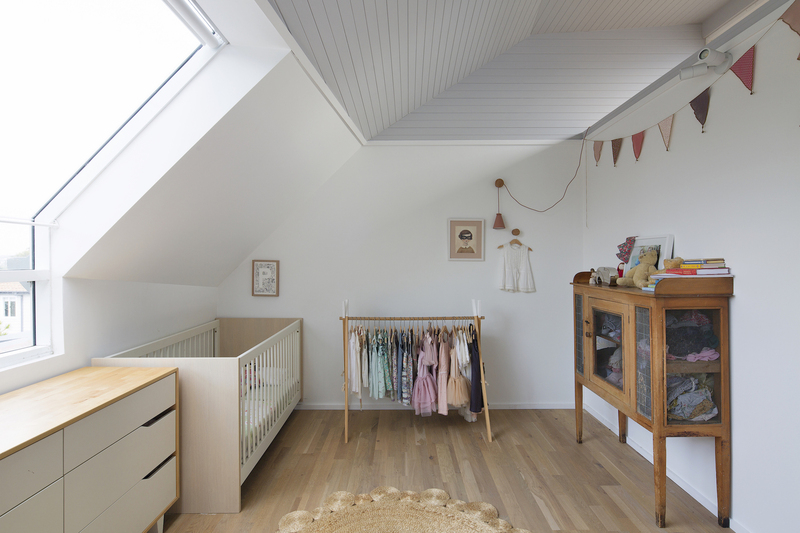 the pitched upper floor ceiling have been directed to vent the rising hot air through various forms of operability and fenestration. 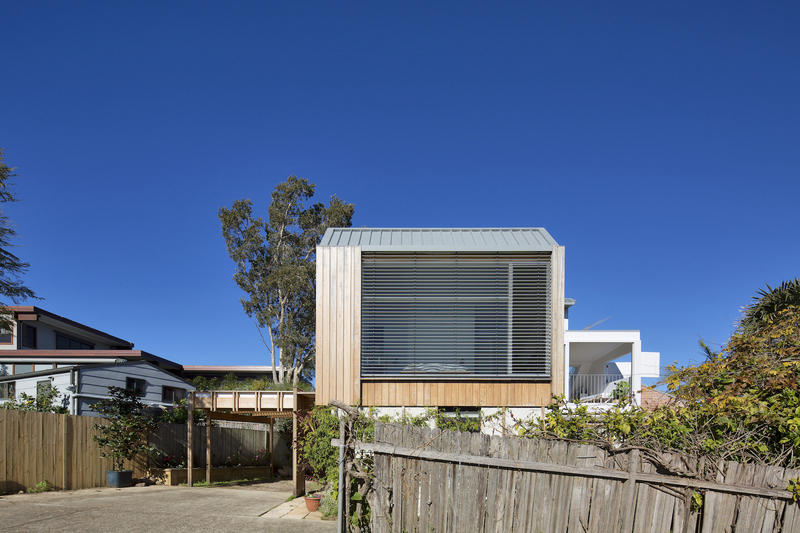 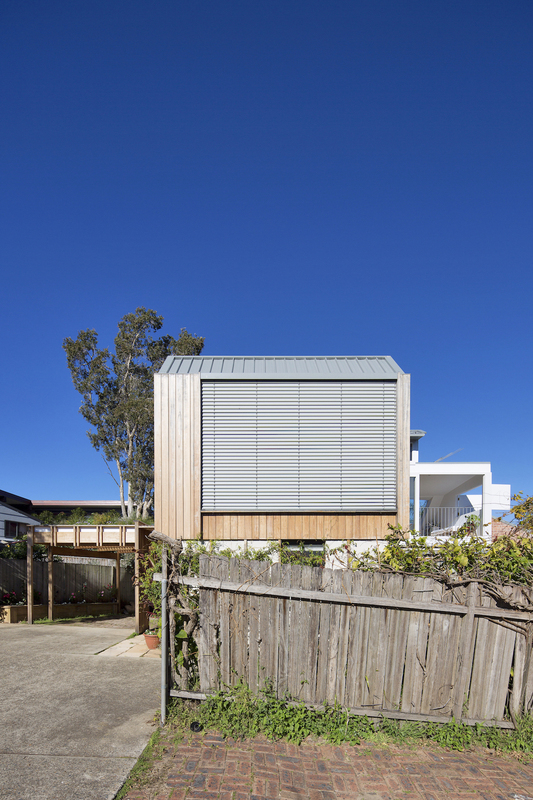 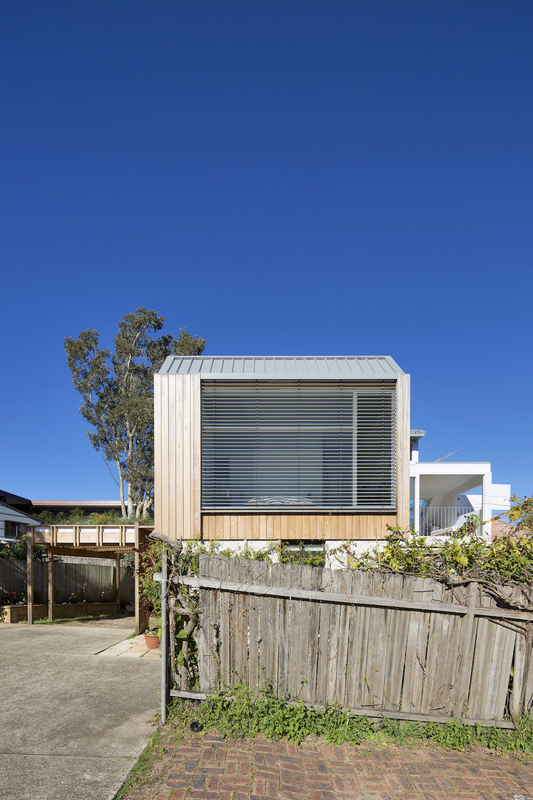 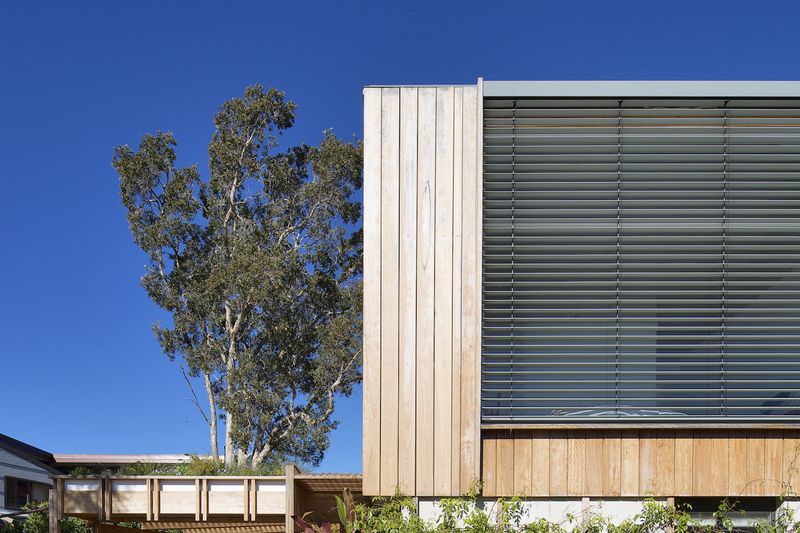 the upper floor is clad in a structural blackbutt screen that acts as a weather barrier. 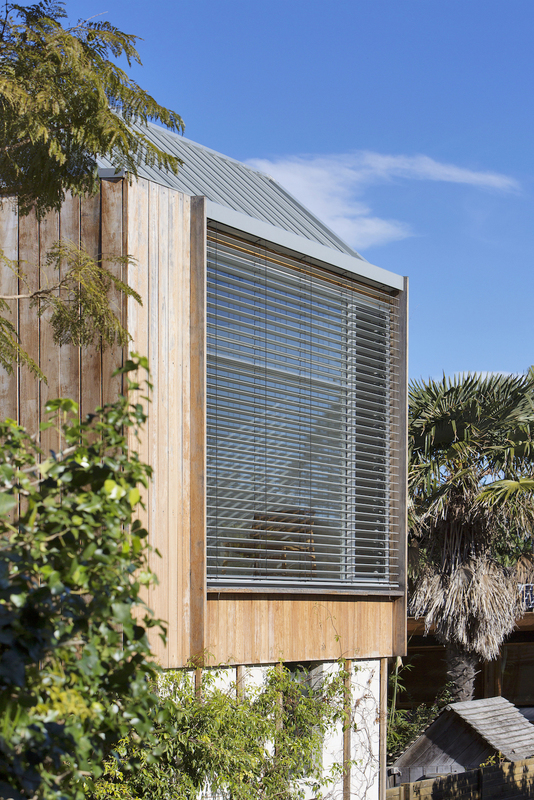 the screen is fully ventilated behind to allow heat to dissipate before entering the outer skin of the facade. 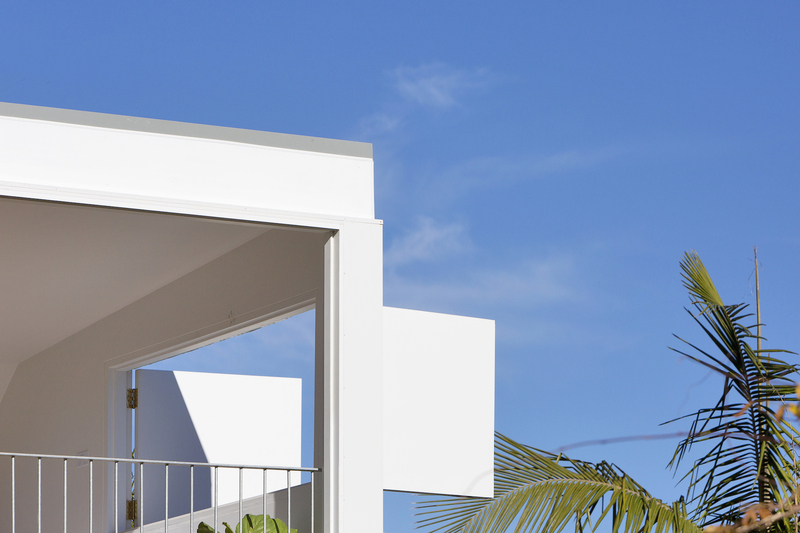 lower floor windows are also blackbutt where maintenance is anticipated, upper floor hard to reach windows are white framed aluminium to reflect the heat. 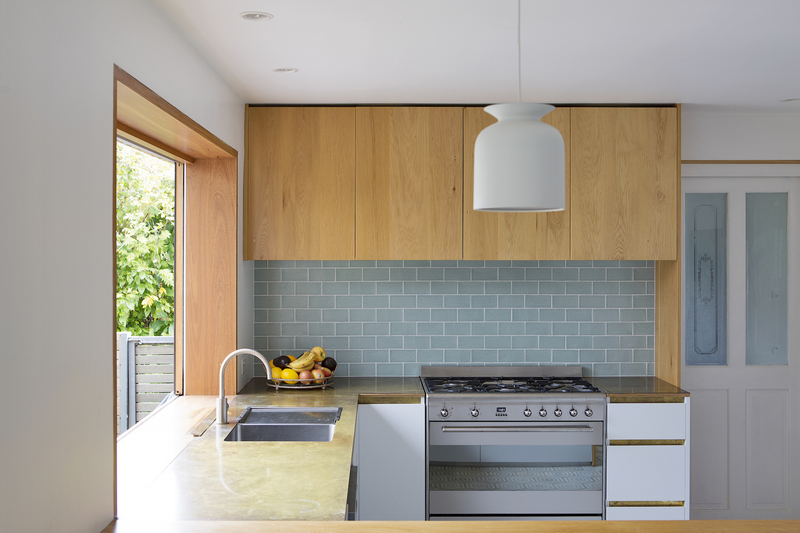 the internal finishes have been developed for a minimal palette of concrete, naturally finished timber or white painted surfaces. 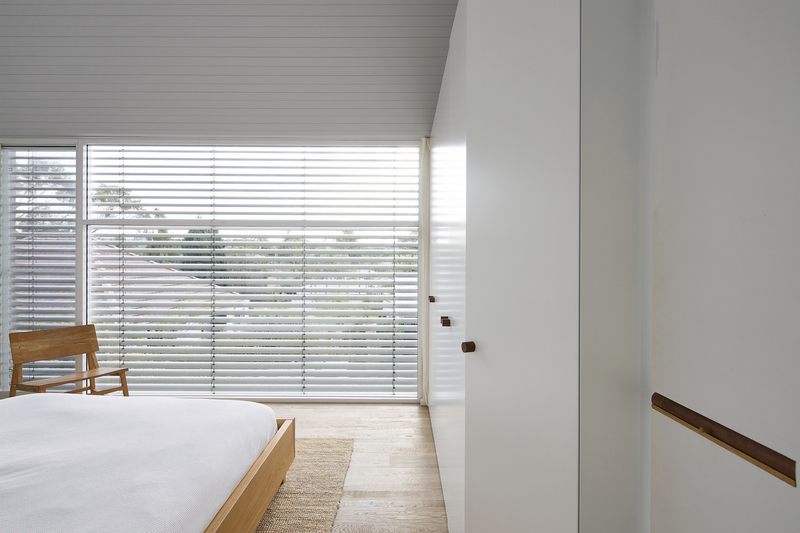 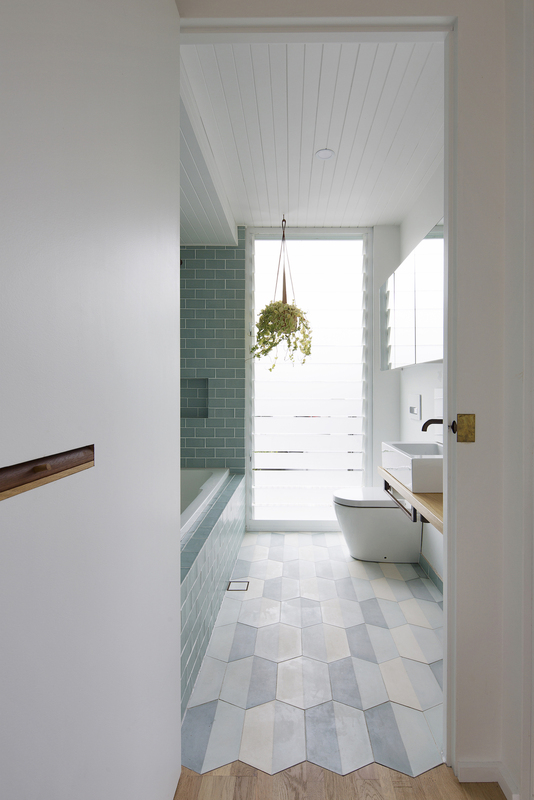 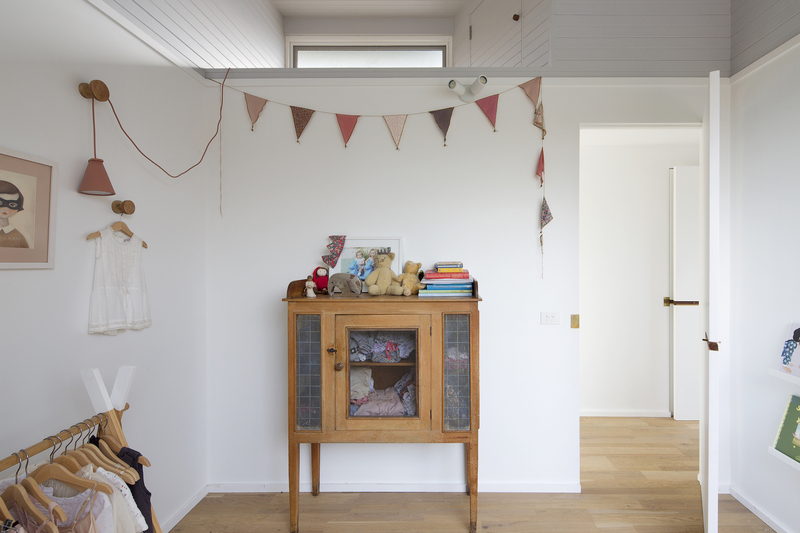 every nook has been considered and formed into functional space in order to create variation throughout.